Buck Laird is the former Managing Director of Anthology Marketing Group based in Honolulu, Hawaii and co-founded its advertising unit, Laird Christianson Advertising in 1989. Anthology is now the largest marketing communications firm in Hawaii. In 2008 he formed his consulting practice, The Laird Co. LLC. Known to his staff as Uncle Buck, Laird enjoys mentoring and advising professionals at all stage of their careers. Just don’t expect him to produce anything in Excel. After graduating from the Cornell Hotel School in 1964, Laird served as a U.S. Navy supply division officer aboard a Pearl Harbor based destroyer. He was awarded the Navy Achievement Medal, with Combat V, for his actions in the Gulf of Tonkin. He holds a Masters Degree in Business Administration from the University of Hawaii. Following his honorable discharge, he held various posts with Marriott Hotels in Texas and Washington, D.C. In 1973 he returned to the Islands with InterIsland Resorts where he was instrumental in developing the Surf Resorts Hawaii brand for the company’s four-star resort portfolio. Laird’s advertising career began in 1978 at a small Honolulu-based agency and progressed to his appointment as Senior Vice President at Starr Seigle McCombs prior to the start-up of Laird Christianson Advertising. 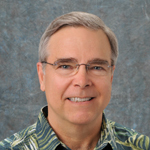 Over the course of his marketing career, Laird has directed the advertising accounts of Aloha Tower Marketplace, Ala Moana Hotel, Alpac Hawaii – Pepsi Cola/7 Up, Avis Rent-a-Car, Centex Destination Properties, Emerald Hotels, Hawaii Chevrolet Dealers, Hilton Hotels Hawaii, Holiday Inn Hotels Hawaii, KFC International, Marriott Resorts Hawaii, Marriott Vacation Club International, Na Hoku Jewelers, Pearlridge Center, Prince Resorts Hawaii, Wailea Destination Association, and many other Hawaii-based resort, hospitality and consumer brands and services. Laird relinquished his full-time duties at Anthology in early 2008 to focus on his portfolio of pursuits, which includes the creation of The Laird Co. LLC. His own consulting engagements have been diverse and fulfilling, leading him to the co-founding of Laguna Strategic Advisors LLC. In 2004 Laird was awarded the American Advertising Federation’s Silver Award for advertising excellence and lifetime achievement. In 2008 he was inducted into the Sales and Marketing Executives International’s Hall of Fame. Laird has also been active in many community service roles, including some 20 years as a director and officer of the Susannah Wesley Community Center and over 15 years with the Hawaii Chapter of American Red Cross. He is married to author/educator Donivee Martin Laird with whom he created Barnaby Books, Inc. a trend-setting publisher of Hawaii themed children’s books. The Lairds enjoy skiing and traveling, but most of all visiting their growing family on the mainland.They can often be found working and playing at their rustic cottage on Quadra Island, British Columbia. AKA BikerBuck, Laird has accomplished a personal goal to do a 50km bicycle ride in all 50 U.S. states over a cumulative period of 88 days between April 2011 and September 2012. Full story at bikerbuck.blogspot.com. Read about Laguna Strategic Advisors’ other founding member, Edwin Fuller.